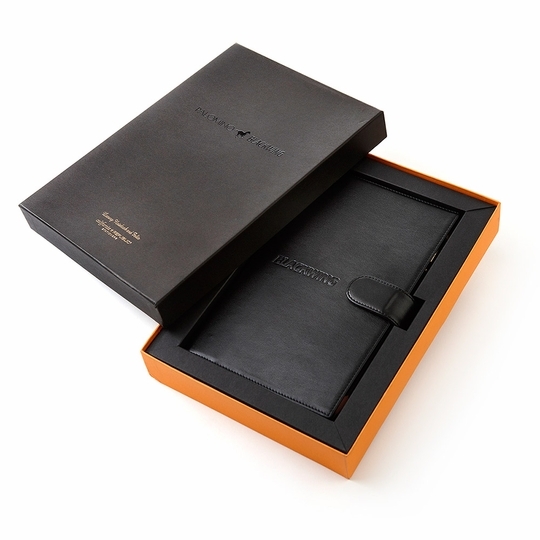 With its lovely, leather-like sewn binding and gorgeous embossed cover, this Blackwing Luxury Medium Soft Cover Notebook and Folio Cover fully embodies the quality and class you've come to expect from Palomino and its famous Blackwing 602 pencils. 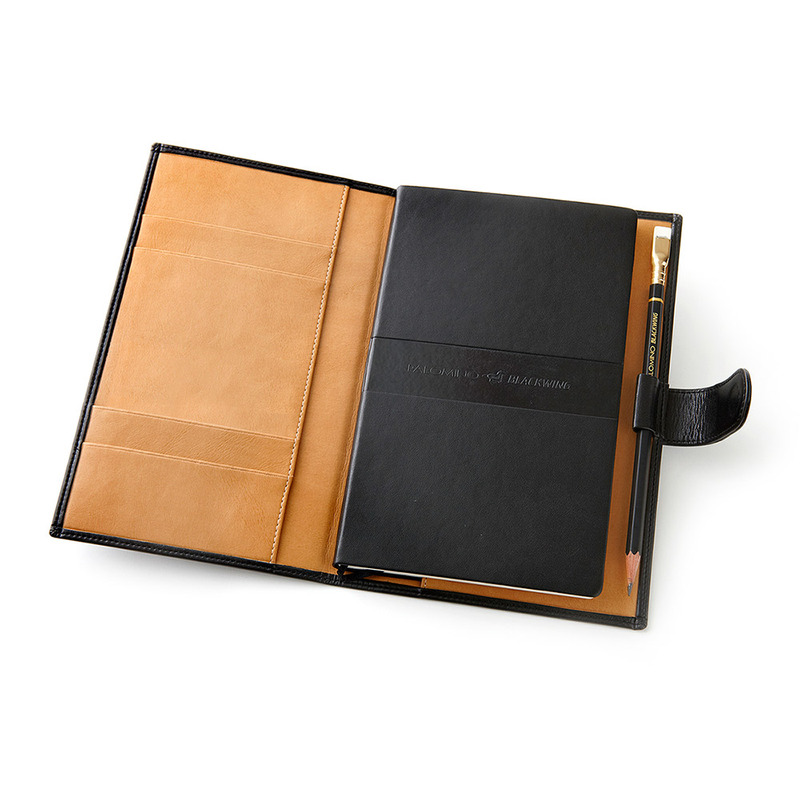 Inside, you'll find pockets for business cards, a pencil holder for your favorite Palomino Blackwing pencil and a replaceable Blackwing Luxury Notebook with 160 plain, ruled or graph pages. The 100 g paper is acid free and ready for your meeting notes, art journaling or precise sketches. What we love most about this folio, perfectly poised as it is between traditional craftsmanship and modern elegance, is the confidence it tends to inspire. 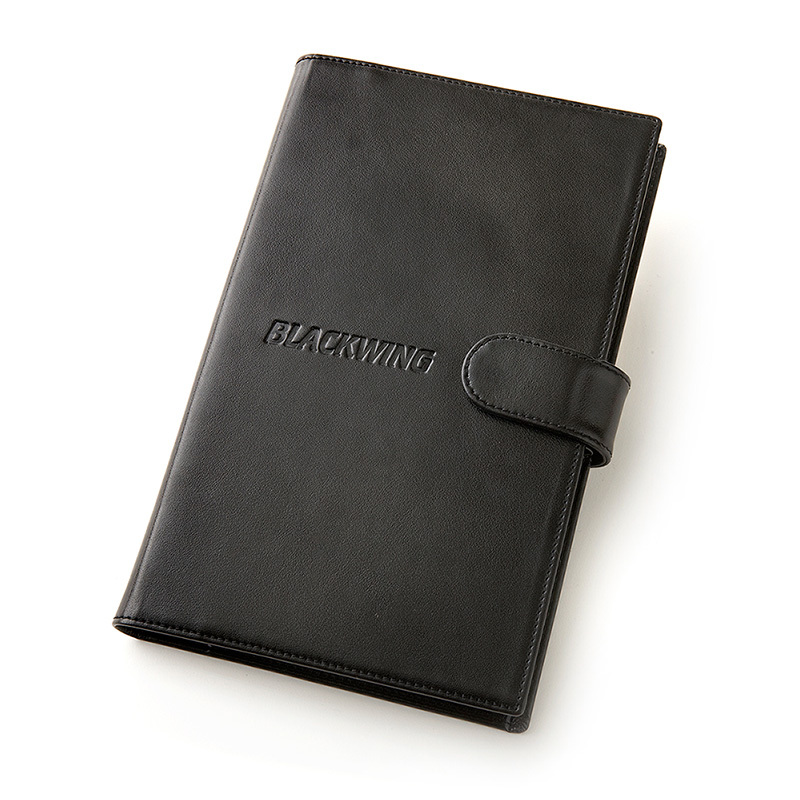 Whether you're pitching a new client or perfecting a creative project, this Blackwing Luxury Notebook and Folio has you covered!